How can nanoparticles and crocodiles help conquer disease? Thanks to the Dean Catharine Whiteside Scholarship for Clinician-Scientists, MD/PhD student Hannah Kozlowski is pursuing intriguing research on blood-borne diseases. 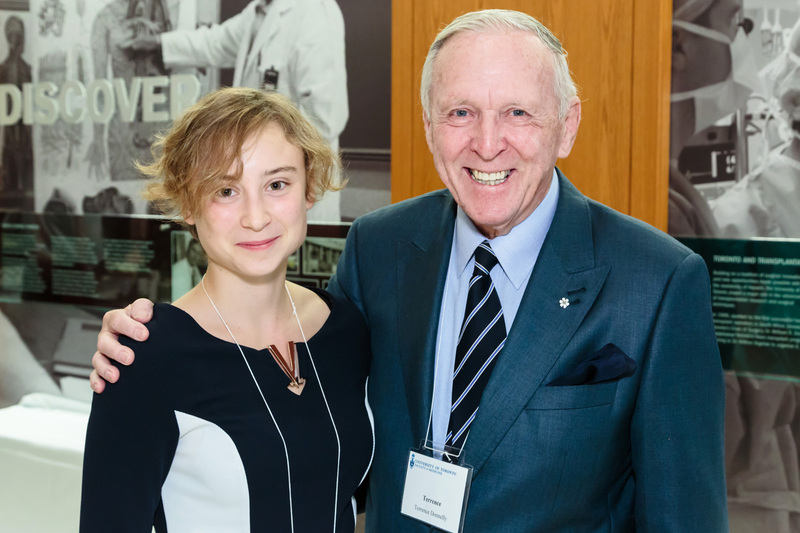 Though she’s just started her first year of the MD/PhD program in U of T’s Faculty of Medicine — which combines medical training with doctoral research —Hannah Kozlowski has already published in major peer-reviewed journals as an undergraduate in Laboratory Medicine and Pathobiology. Her intriguing research agenda is accelerating now that she’s a graduate student, supported by the inaugural Dean Catharine Whiteside Scholarship for Clinician Scientists. Terrence Donnelly established the merit-based scholarship in honour of former Faculty of Medicine Dean Catharine Whiteside. Through an endowment that will support the top incoming student in the MD/PhD program every year, he is investing in research aimed at enhancing future clinical practice. 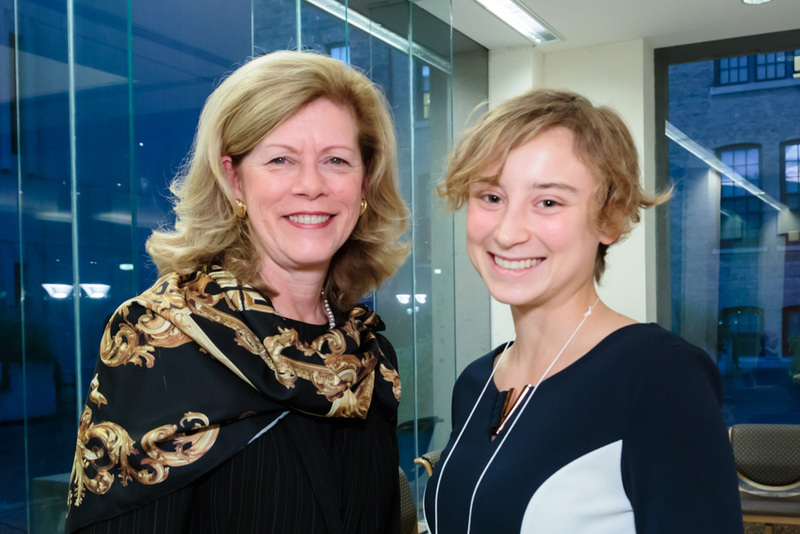 Kozlowski spoke with Faculty of Medicine writer Carolyn Morris about her research and plans. Tell me about your research experience so far. My main research has been in HIV. In my undergraduate degree, I was working with Laboratory Medicine and Pathobiology Professor Donald Branch. We wanted to see if there was something in crocodile blood that could inhibit HIV infection. Prior research had shown that there’s something about crocodile blood that gives it antibacterial and antiviral properties, so we wanted to find out what it was, if there was something similar in humans, or if we could use it to develop a drug. We found that histones — which are proteins that help package DNA — were present in high quantities in purified crocodile blood. We also found that human histones can affect HIV infection. This could explain why some people respond to HIV infection differently than others, and it could also be used in HIV treatment, if specific portions of crocodile histones were proven to have anti-HIV activity. In the same lab I also had the opportunity todo research on Ebola during the epidemic. We were looking at combination drug therapy for Ebola and used a rapid screening assay to test the efficacy of combination therapy with generic drugs in Ebola treatment. For this work we collaborated with researchers from the National Microbiology Laboratory level 4 lab in Winnipeg. Using a combination of generic drugs to treat Ebola was a new approach — and a strategic one. The ability to repurpose drugs for new uses can save patients and the health-care system a lot of money. This is especially important when treating patients in developing countries. And if an illness is spreading quickly, patients need something that is already readily available. Why did you decide to pursue an MD/PhD? As soon as I started in research, through a summer job at Canadian Blood Services, I realized I really loved it. There’s something amazing about being in the lab and knowing that you’re doing something to change future outcomes and really impact people on a larger scale. I also knew I wanted to go into medicine, so I set out to merge the two. I knew the MD/PhD program at the University of Toronto was well established and that U of T had amazing, world renowned researchers. I had also heard great things from students in the program. Plus, the MD curriculum is undergoing a change that really interested me and I was eager to try a new style of education. What do you hope to focus on for your research in the MD/PhD program? I’m looking to work in nanodiagnostics. This is where you can take a sample, let’s say blood, and mix in nanoparticles that can detect an infectious particle. The sample might turn a different colour if that infectious agent is present in the blood. This has huge potential for rapid, point-of-care testing. When I was at the National University of Singapore, I worked with several leading researchers in the field and I am looking forward to working with leaders at the University of Toronto. There are a lot of cool things happening in the nano field — it’s expanding very quickly and it’s opening up a lot of possibilities. People are using it for numerous applications including cancer treatment, diagnostics and multi-drug resistant infections. I am honored to receive this award in Dr. Whiteside’s name — and would like to thank Dr. Donnelly for his generous donation. This award means a great deal to me. It is helping me pursue the things that I love and enabling me to evoke change in the medical field. I believe in hard work and dedication and I will demonstrate that as I move through this program. In the future, I want to be a leader in my field and amongst my colleagues, just as Dr. Whiteside was a leader in her own field. In 2012 Dr. Whiteside was named one of Canada’s 100 most powerful women; she is a role model for all future clinician-scientists. I hope one day my research will change many lives and that I too can help the next generation of clinician-scientists make their mark on the medical field. How do we uphold our constitutional rights?